Indianapolis Colts quarterback Jacoby Brissett finds Indianapolis Colts wide receiver Zach Pascal in the end zone for a 2-yard touchdown. Published: Dec. 31, 2017 at 01:44 p.m. 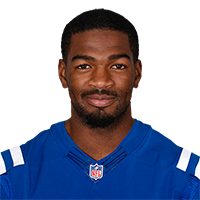 Published: Dec. 23, 2017 at 07:28 p.m.
Indianapolis Colts quarterback Jacoby Brissett hits wide receiver T.Y. Hilton on a crossing route for a 16-yard gain. Published: Dec. 23, 2017 at 05:29 p.m.
Indianapolis Colts running back Frank Gore catches a screen pass from quarterback Jacoby Brissett, then goes aerial for a 14-yard TD.